Day 17 - Your favorite photo of yourself and why. 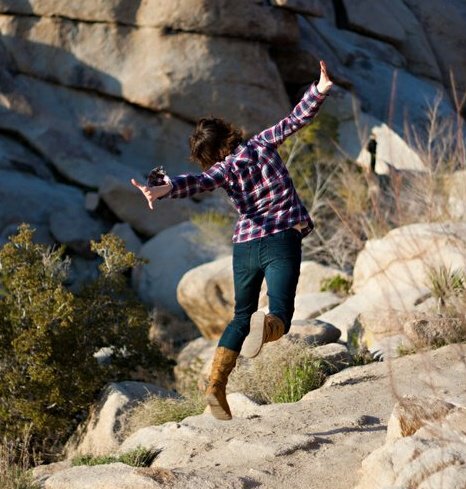 This picture was snapped by my best friend while in Joshua Tree a few years back. There are so many reasons why this is my favorite photo of myself. First of all, my best friend had decided a few days before my birthday to fly to LA to see me! We were also at my favorite place ever. We were goofing around taking pictures of ourselves doing ridiculous things (just like we did in middle school). Basically it was just a really great time all around. Oh and of course, she also took a fantastic action shot. I love it! Great action shot. Stopping by from the linkup! That is a great picture, makes me just wanna join you and have a good old time! HA this is so awesome!! Action shots are my FAVE.